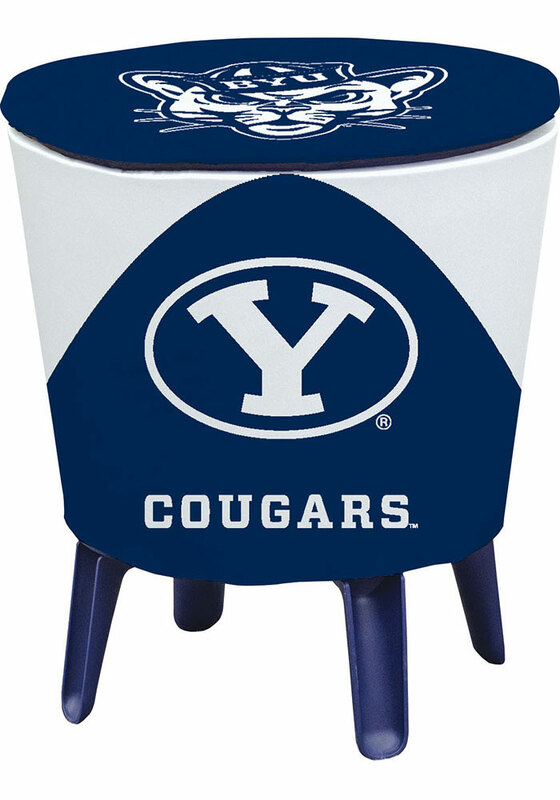 Take your Cougars spirit with you to the next tailgate with this BYU Cougars Table Cooler. 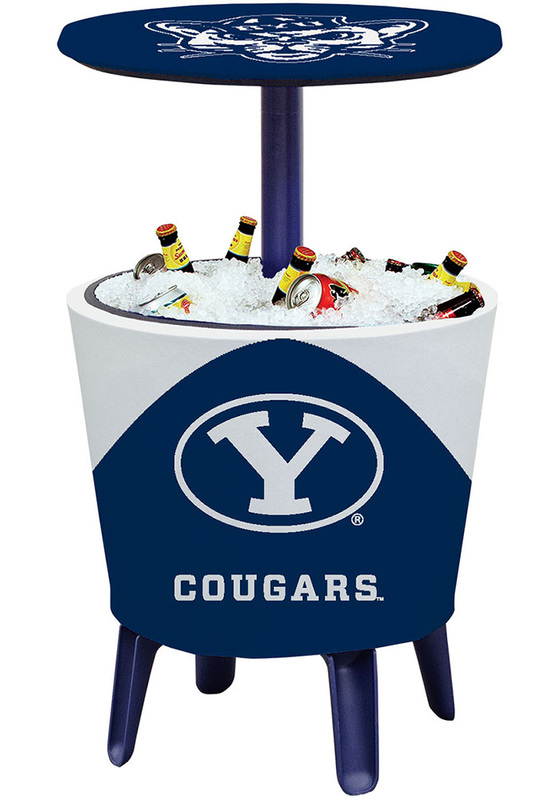 This Cooler features a Brigham Young University logo in vibrant team colors. This unique cooler has a telescoping top that opens in one swift movement. The locking collar keeps top secured when raised. It has a drain, its double-walled design keeps drinks cool, and it holds up to 20lbs of ice and 30 12oz cans. Go Cougars!